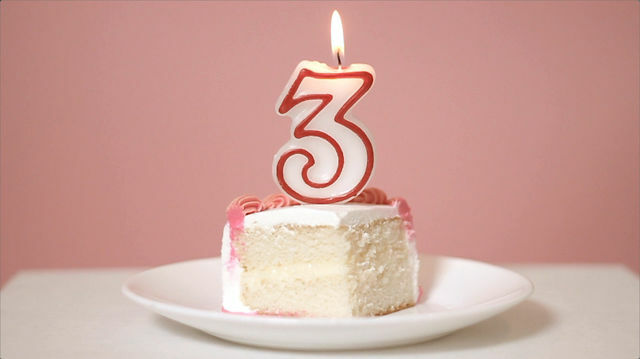 Today is the four year anniversary of the introduction of this blog. 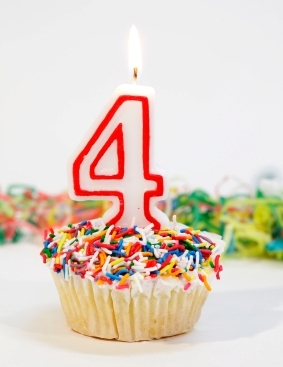 There are times it doesn’t seem like it has been four years since this blog began. I am glad for this blog as it has been helpful in getting me through some of the toughest times I’ve had. I hope that in this upcoming year there will be more ups than downs. I hope that there will be more creative posts. But above all I hope that my thoughts and feelings that I share here will be an encouragement and a blessing to someone. If this is the first time you’ve read a blog post here, thank you and welcome. If you have been reading regularly the last four years, thank you as well for being a part of my journey. It’s time once again for the Anniversary Edition. This is a series where we highlight the 25th anniversary of some of our favorite things. These include movies, TV shows, video games, comics and music that came out during the year of 1992. A lot of big things debuted or made a huge impact that year and so we will highlight some of those in this series. We have previously looked at the year in music, video games, movies, and TV shows in 1992. We now turn to the year in comics in 1992. There were several storylines and characters that made their debut that year. 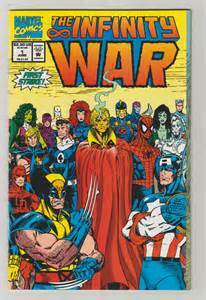 On the Marvel front, the big crossover event was Infinity War. It was a six issue miniseries which was a sequel to the previous year’s Infinity Gauntlet. 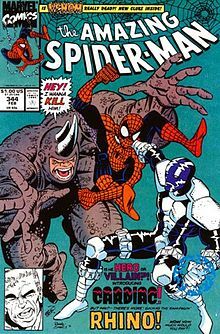 The storyline would also be dealt with in Captain America, Daredevil, Silver Surfer, Spider-Man and other comic series. This comic event is going to be adapted for the big screen next year in The Avengers: Infinity War. On the DC front, there wasn’t a big huge crossover event. There were several characters that made their debuts but we’ll get to that in a moment. As far as debuts are concerned, the first to address is a new publishing company. Image Comics made its debut in 1992. Along with that saw the debut in May of Spawn, a character created by comic book artist Todd MacFarlane, who had previously drawn Spider-Man. There are many other comics and characters that were featured in 1992. Is there an issue or character not listed that you enjoy? Leave a comment and share them here. Thanks for joining us this month during our trip down memory lane. We’ll be back next year around this time to look at the 25th anniversary of things that happened during 1993. Until then, break out the comic books and enjoy some classic reading. It’s time again for the Anniversary Edition. This is a series where we highlight the 25th anniversary of some of our favorite things. These include movies, TV shows, video games, comics and music that came out during the year of 1992. A lot of big things debuted or made a huge impact that year and so we will highlight some of those in this series. We have previously looked at the year in music, video games and movies in 1992. We now turn to the TV shows of 1992. Lots of pretty cool and memorable TV shows debuted in 1992 so let’s get right to it. There were some great cartoons that debuted in 1992. The two biggest debuted on FOX. They were Batman: The Animated Series and X-Men. Batman: The Animated Series premiered on September 5th and X-Men premiered on October 31st. Other cartoons that debuted in 1992 were Goof Troop (September 5th) and Eek! The Cat (September 12th). Nickelodeon debuted their Saturday night block SNICK on August 15th. That night also saw the debut of Are You Afraid of the Dark? Some other big shows that debuted in 1992 included Dateline NBC (March 31st), Barney & Friends (April 6th), The Real World (May 21st), Melrose Place (July 8th), California Dreams (September 12th) and Mad About You (September 23rd). There were two cable channels that debuted in 1992. On September 24th the Sci-Fi Channel (now known as SyFy) debuted and on October 1st the Cartoon Network debuted. Which of these TV shows listed was your favorite? Is there a TV show not listed that premiered in 1992 that you enjoy? Leave a comment and share them here. Next time, we will look at the year in comics in 1992. Until then, crank up the old VCR and enjoy some classic TV shows. It’s time once again for the Anniversary Edition. This is a series where we highlight the 25th anniversary of some of our favorite things. These include movies, TV shows, video games, comics and music that came out during the year of 1991. A lot of big things debuted or made a huge impact that year and so we will highlight some of those in this series. We have previously looked at the year in music, video games, movies, and TV shows in 1991. We now turn to the year in comics in 1991. There were several storylines and characters that made their debut that year. On the Marvel front, the big crossover event was the Muir Island Saga. 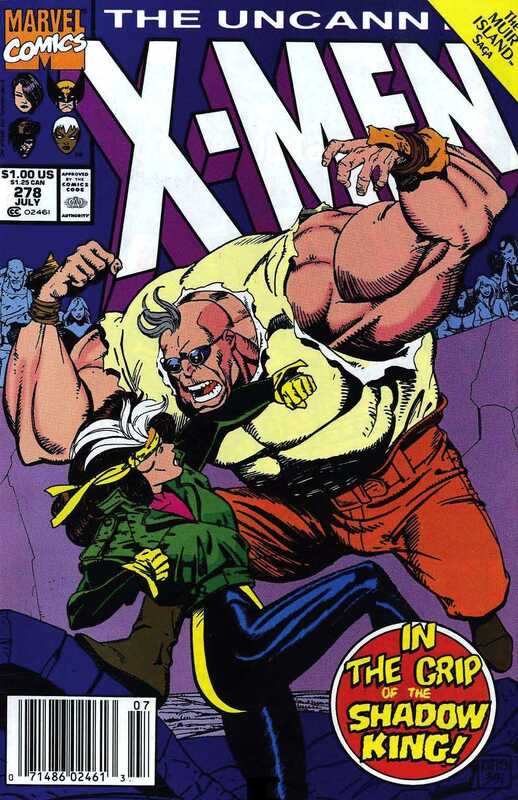 It was a five issue crossover between The X-Men & X-Factor. The results of the saga included seeing Professor X losing the use of his legs again as well as the members of the X-Men go back to wearing individual uniforms instead of team uniforms. 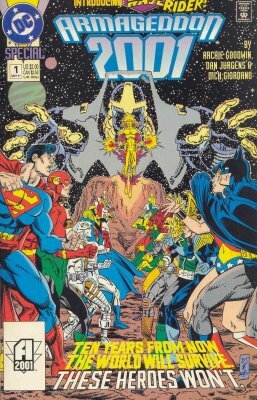 On the DC front, the big crossover event was Armageddon 2001. The event ran May through October and was featured in all the big DC chararacters’ annual comics as well as a limited series specific to the event. The other big DC comic was the #1 issue of Superman: The Man of Steel which debuted in July. 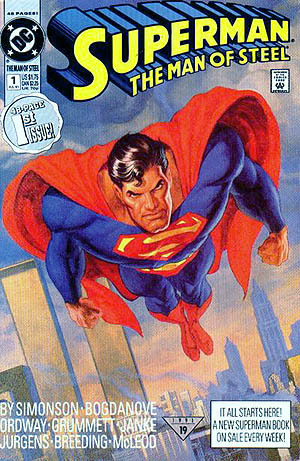 With this comic series, it meant that at the time that there would be a new Superman comic book every week of the month. Another huge comic book miniseries that released in 1991 did so through Dark Horse Comics. This was a new story in the Star Wars universe. That title was Star Wars: Dark Empire. 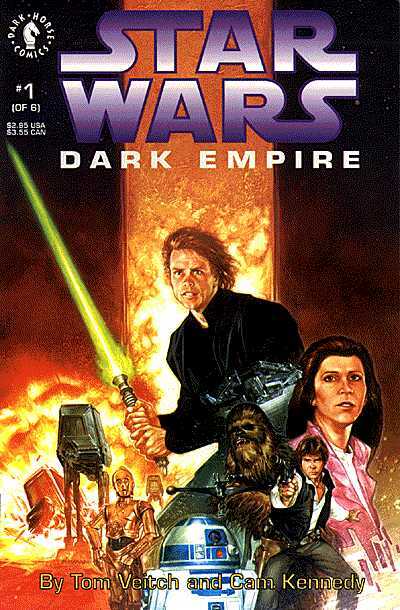 The first issue debuted in December and told the further adventures of Luke Skywalker and the gang. These stories, along with many post Return of the Jedi stories, are now apart of the Legends canon of the Star Wars Universe. There were several characters that made their debut in 1991. I’ll highlight two here. The first is Cletus Kassady, better known as Carnage. He debuted in The Amazing Spider-Man #344 in March and would eventually become the “darker version” of Venom. The second one is someone that is pretty popular given the recent movie that came out this year and that is Wade Wilson, better known as Deadpool. 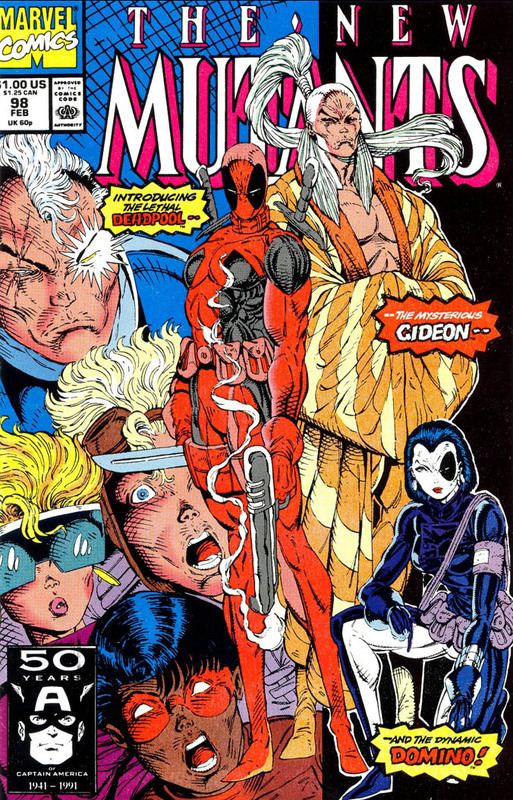 Debuting in The New Mutants #98 in February, Deadpool was initially a villain but his popularity drove the writers to morph him into the anti-hero character that he is known for today. There are many other comics and characters that were featured in 1991. Is there an issue or character not listed that you enjoy? Leave a comment and share them here. Thanks for joining us this month during our trip down memory lane. We’ll be back next year around this time to look at the 25th anniversary of things that happened during 1992. Until then, break out the comic books and enjoy some classic reading. It’s time again for the Anniversary Edition. This is a series where we highlight the 25th anniversary of some of our favorite things. These include movies, TV shows, video games, comics and music that came out during the year of 1991. A lot of big things debuted or made a huge impact that year and so we will highlight some of those in this series. We have previously looked at the year in music, video games and movies in 1991. We now turn to the TV shows of 1991. Lots of pretty cool and memorable TV shows debuted in 1991 so let’s get right to it. Nickelodeon also had Clarissa Explains It All debuted on March 1st. On the talk show front, there were several pretty big talk shows that debuted in 1991 including two that are still going today. These talk shows were The Montel Williams Show (September 16th) The Jenny Jones Show (also September 16th) and the two big ones Maury (September 9th) and The Jerry Springer Show (September 30th). Which of these TV shows listed was your favorite? Is there a TV show not listed that premiered in 1991 that you enjoy? Leave a comment and share them here. Next time, we will look at the year in comics in 1991. Until then, crank up the old VCR and enjoy some classic TV shows. It’s time once again for the Anniversary Edition. This is a series where we highlight the 25th anniversary of some of our favorite things. These include movies, TV shows, video games, comics and music that came out during the year of 1991. A lot of big things debuted or made a huge impact that year and so we highlight some of those in this series. We have previously looked at the year in music and video games in 1991. We now turn to the movies of 1991. This was another huge year at the box office. There were some pretty big landmark films that released in 1991. You remember them? Let’s check them out. Of the top 10 movies of 1991, what was the highest grossing film that year? Interesting enough, both the domestic and worldwide number 1 film was Terminator 2: Judgment Day. It was released on July 3rd and had the highest grossing weekend that year and broke the record at the time for the highest grossing R rated film. What film was number 1 at the box office for the longest consecutive amount of weeks? It was actually a tie between a film released in 1990 & one in 1991. The one released in 1990 was Home Alone and the one released in 1991 was Silence of the Lambs (released on February 14th). They both spent 5 weeks at number 1 on the box office. Silence of the Lambs would go on to be #4 domestically & number #5 worldwide box office with $272.7 million. The rest of the top 10 worldwide grossing films include JFK (December 20th), The Addams Family (November 22nd), Cape Fear (November 15th), Hot Shots! (August 2nd) and City Slickers (June 7th). Other big films that released in 1991 were Sleeping with the Enemy (February 8th), Teenage Mutant Ninja Turtles II: The Secret of the Ooze (March 22nd), Thelma and Louise (May 24th), The Rocketeer (June 21st), The Naked Gun 2 & 1/2: The Smell of Fear (June 28th), Regarding Henry/Point Break/Boyz n the Hood (those three released on July 12th), Star Trek VI: The Undiscovered Country (December 6th), and Father of the Bride (December 20th). Which of the films listed was your favorite? Obviously there were so many more films that came out in 1991. Is there a film not listed that came from 1991 that you enjoy? Leave a comment and share them here. Next time, we will look at the year in TV shows in 1991. Until then, crank up the old VCR and enjoy some classic movies.